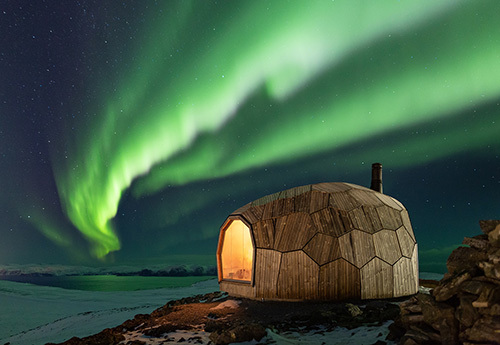 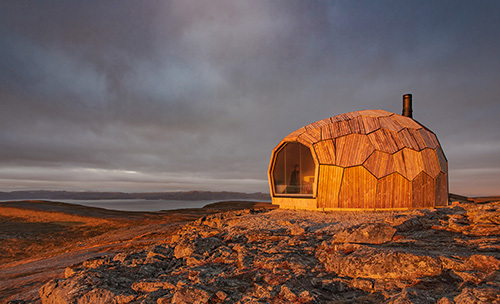 Oslo-based architects Spinn has designed a unique cabin concept in the Norwegian town of Hammerfest, inspired by the beautiful nature of the place. 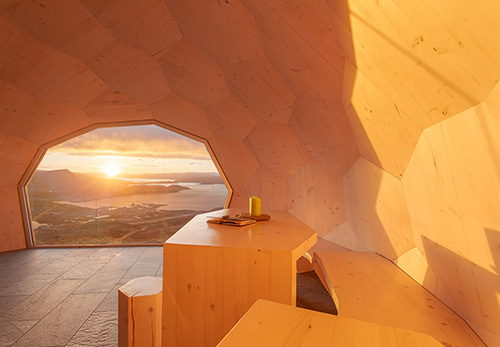 The cabin’s shape is based on a 3D laser scans of the surrounding, rocky terrain. 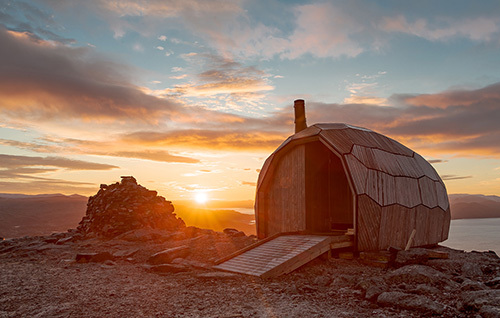 The rounded, outer shape remains weatherproof, covered with roofing felt and an outer screen of wood treated with flames.